First stop was always going to be pyjamas and the most difficult decision was choosing which ones. We decided on the Reindeer Mix & Match Pyjamas (£18.00) as the check bottoms totally sold them to me. 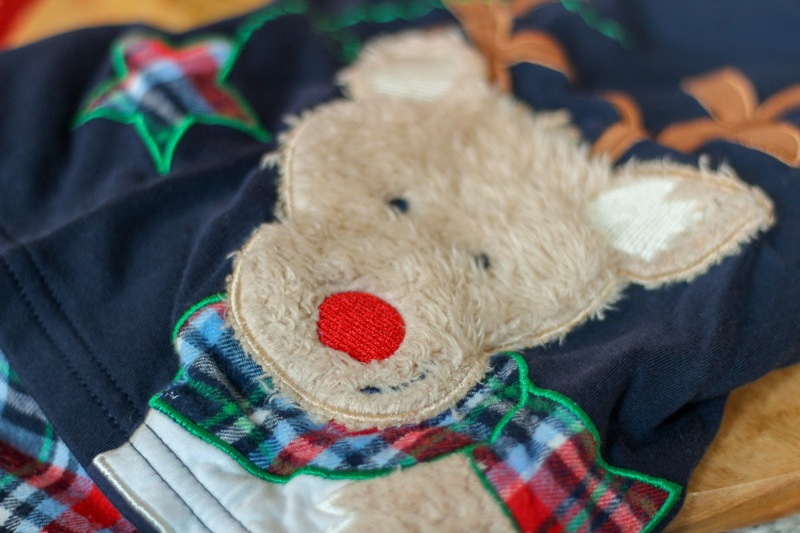 They're super soft, made from cotton and how cute is the furry reindeer? 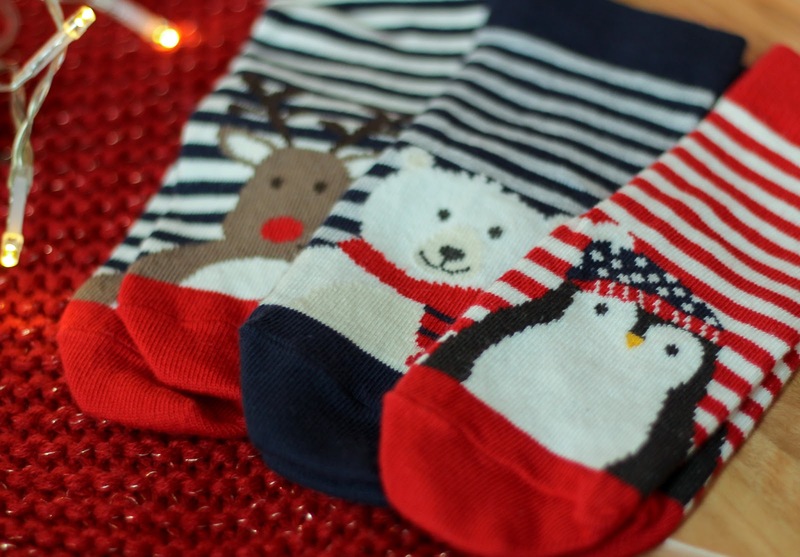 I also picked up the 3 Pack Christmas Cotton Socks (£9.00) because it's not Christmas without socks. Joshua always wears JoJo Maman Bébé socks because they come with anti-slip which is essential for a speedy toddler. Our next pick was a Christmas jumper! We always have The Spake Family Christmas on Boxing Day with all my Dad's family and everyone wears a Christmas jumper so Joshua needed his very own this year. There is such a wide selection of Christmas clothing on the website that I could've chosen so much more but eventually I went with the Red Reindeer Jumper (£24.00) which is a super soft, round neck knit with an oh so adorable reindeer adorned on the front. 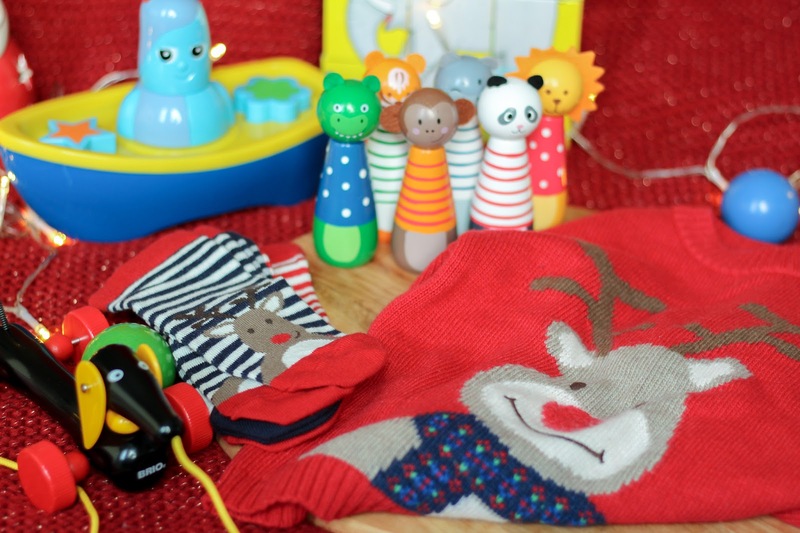 With all our Christmas clothing decisions made, it was time to look at toys for our lovely little boy and JoJo Maman Bébé is one of my favourite places to shop for toys as the range is huge and delivery is so quick. 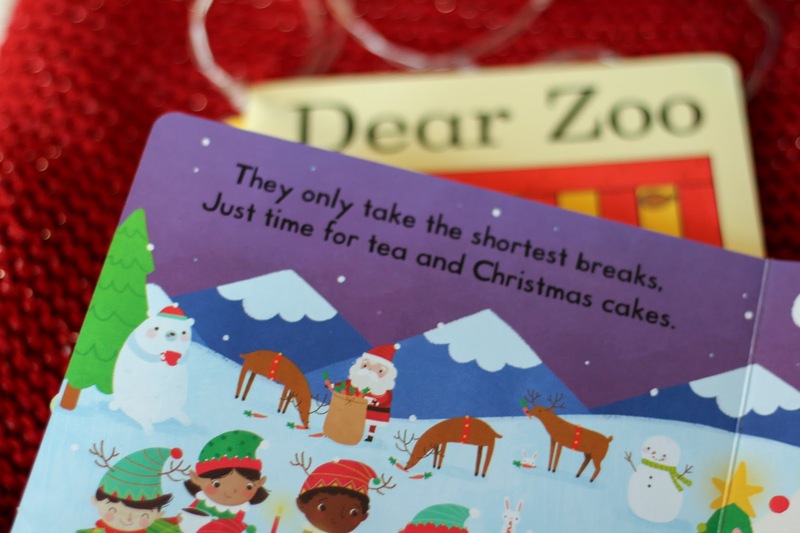 First up is Dear Zoo, it's one we don't have yet so I snapped up the Dear Zoo Book & Puzzle Blocks (£12.99) which comes in a gift box, we also ordered the Busy Elves Book (£5.99) which is perfect for Christmas Eve Boxes. 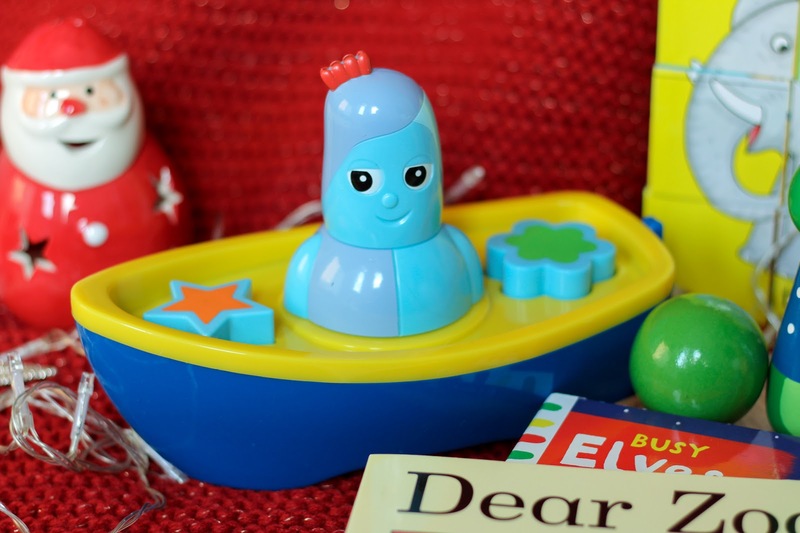 The In the Night Garden Iggle Piggle Light Up Boat (£19.99) is something I'm really excited about, Joshua loves bath time so I can't wait to use this for the first time. It comes equipped with pouring cups, foam shapes and it lights up under the water! In the Night Garden is one of his favourite shows so he's going to love it. 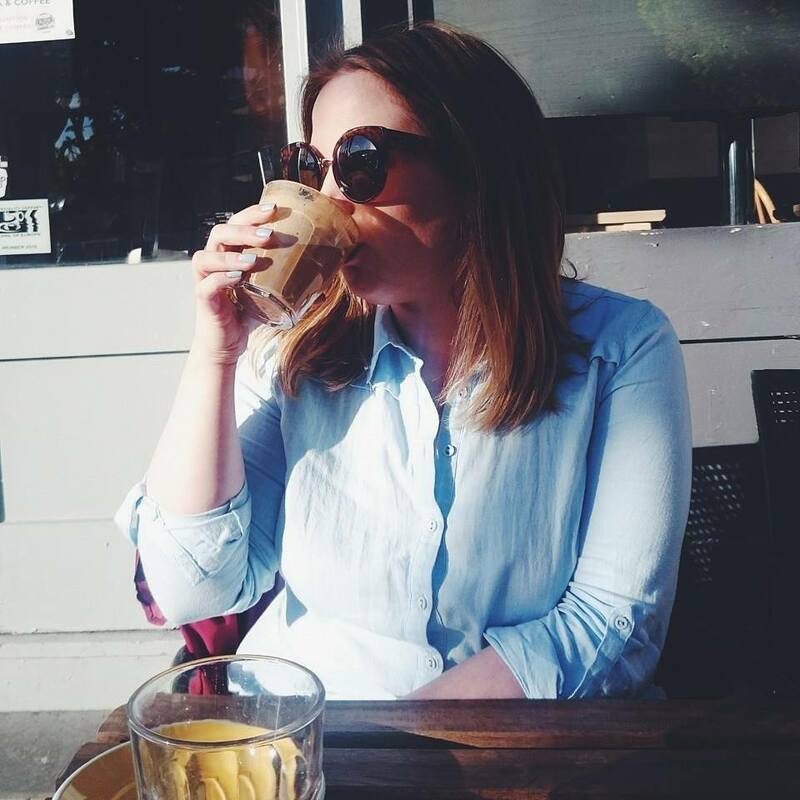 The last two items are animal based and wooden, our perfect pairing! 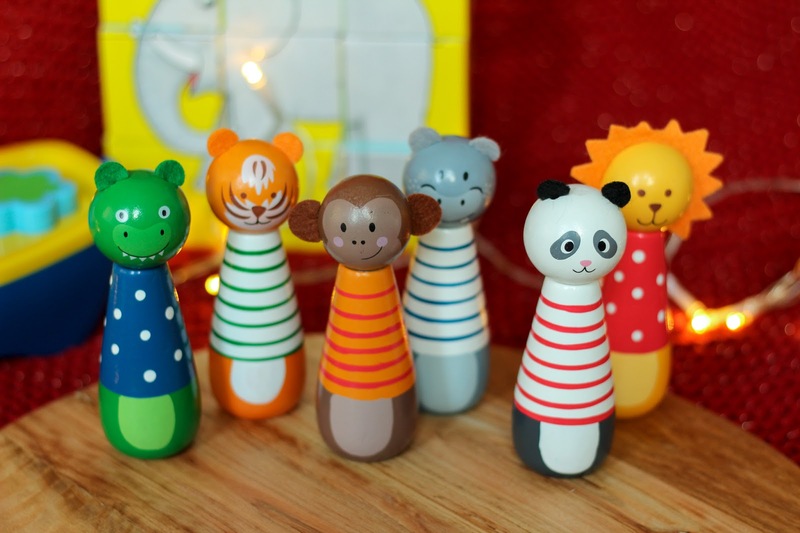 The Jungle Animal Skittles (£14.00) were just too cute to leave behind. 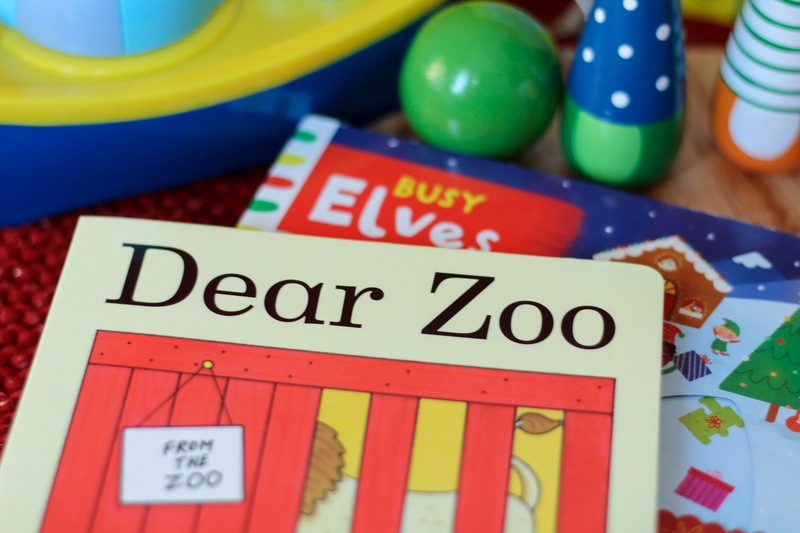 The wooden crafted set features six jungle animals such as a lion and a monkey as well as two wooden balls to knock them all down! They're colourful, fun and perfect for nailing coordination. 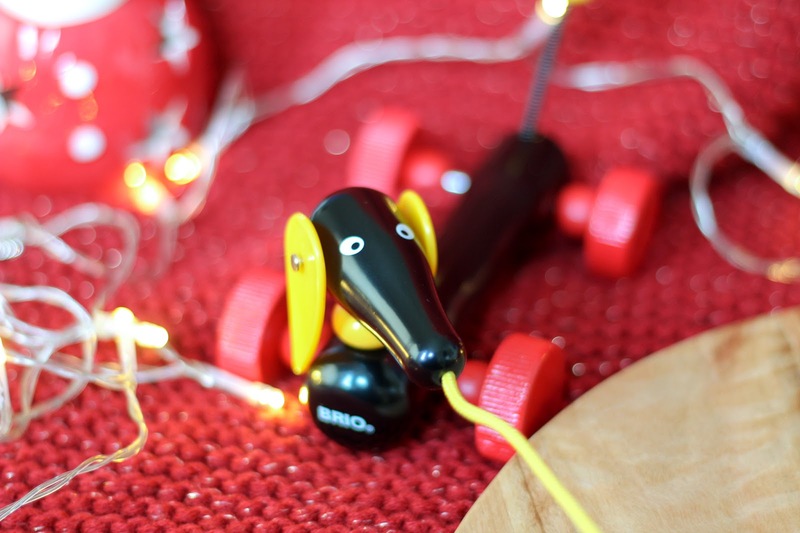 Lastly is a little something Joshua's Aunt is going to love too, the Brio Dachshund Pull Along (£10.00)! It's perfect for little walkers and the wooden design means it can take a few knocks on the way round too. The retro design has been around since the 1950's and as your toddler takes the dog for a walk, the head and ears move and the tail wags! It is SO ADORABLE! It's really easy to shop Christmas at JoJo Maman Bébé with easy to navigate sections on their website if you can't get to a store. I still have my eye on a few more pieces for Christmas, I just can't help myself. 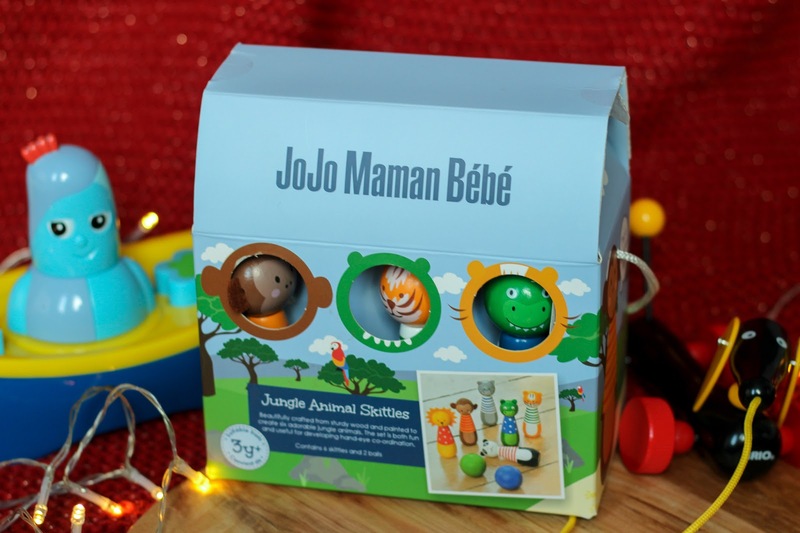 Shop Christmas with JoJo Maman Bébé and take the stress out of shopping this year. Features press samples bought with gift card - see disclaimer. I love the Christmas jumper tradition. 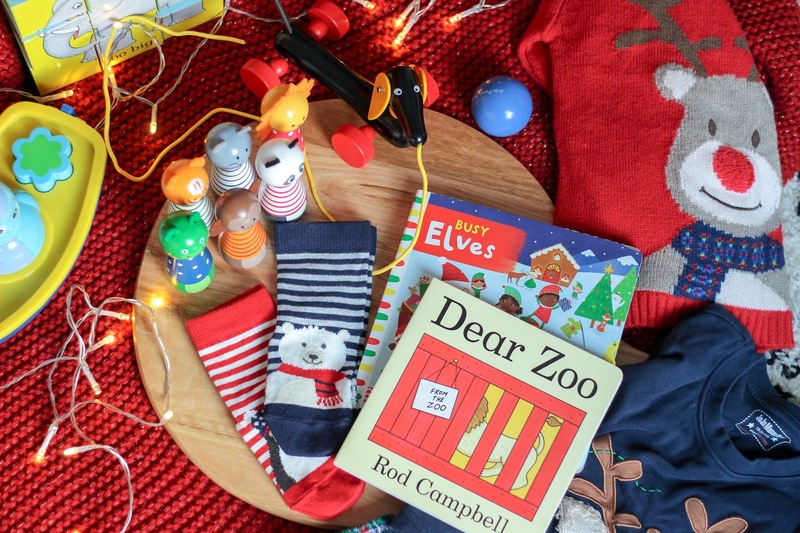 A Christmas Eve box is such a brilliant idea too. Those little socks omg! So cute!